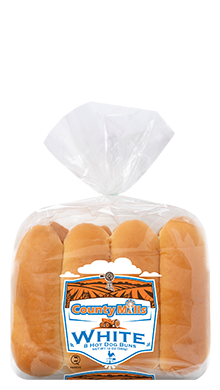 County Mills Hot Dog buns come with 8 buns per package. 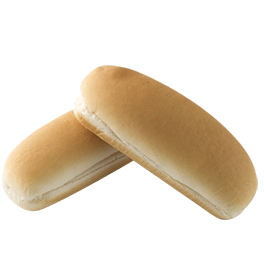 The County Mills packaging is retail friendly thus allowing you to sell these buns to your customers or use them in your operation. No need to ever be out of buns on a nice weekend again. 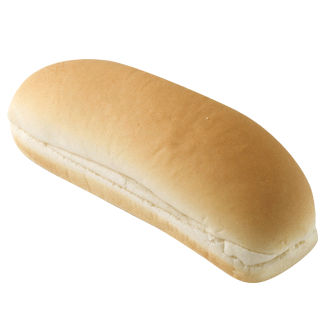 ENRICHED FLOUR [UNBLEACHED WHEAT FLOUR, MALTED BARLEY FLOUR, REDUCED IRON, THIAMINE MONONITRATE (VITAMIN B1), RIBOFLAVIN (VITAMIN B2), NIACIN (VITAMIN B3), FOLIC ACID], WATER, HIGH FRUCTOSE CORN SYRUP, YEAST, SOYBEAN OIL, SALT, WHEAT GLUTEN, MONOGLYCERIDES, CALCIUM PROPIONATE (A PRESERVATIVE), VINEGAR, CALCIUM SULFATE, CITRIC ACID, ASCORBIC ACID.